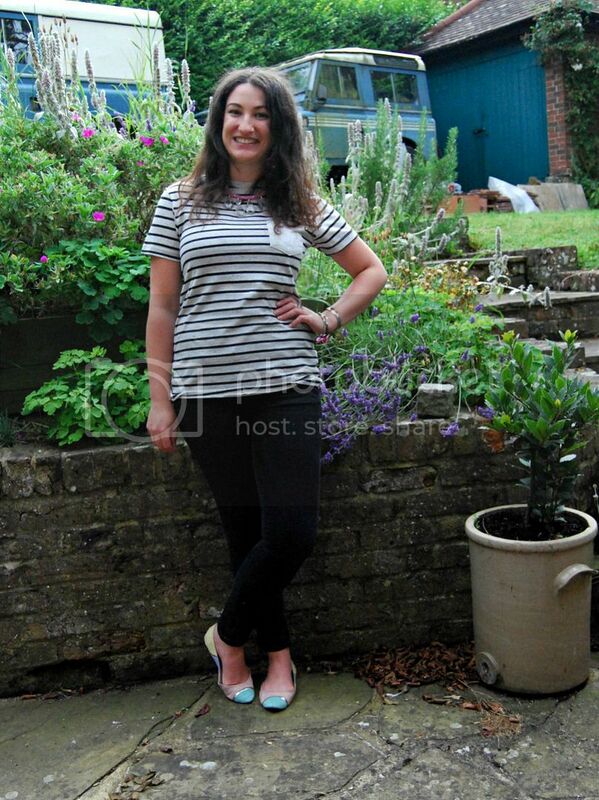 wearing- jeans and tee: both Primark; flats: Asos (on sale here!) ; Necklace: DIY; other jewellery: random! I nipped into town to pick up some necessities, which also turned into a browse around the shops. In Primark, Ivstumbled across this tee in the guys section. Its impossible to photograph properly with just a tripod, but some of the stripes is filled with tiny dashes of neon pink and yellow. Its like so many of the nappy tees in Topshop but for a fraction of the price- why is it that guy’s clothes are so much cheaper?! Do you ever shop in the men’s sections? I often head for the guys’ tees and jumpers, not to mention the vintage denim in charity shops! Anyway, of course I snapped it up and popped it straight on when I got home. 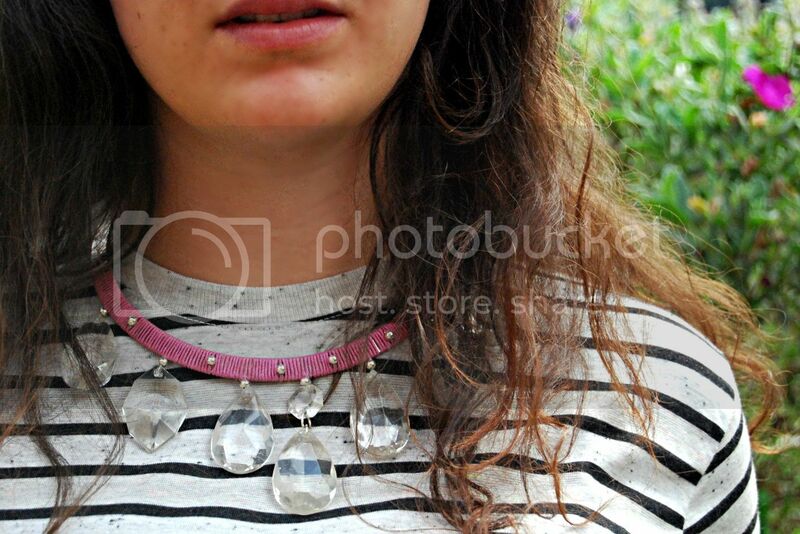 Perfect paired with my new DIY necklace and multicoloured pastel flats for an easy weekend look. I was pretty happy wearing this for an evening of cocktails and pizza for a catchup with a wonderful friend! Comfy clothes and girl dates. Bliss! 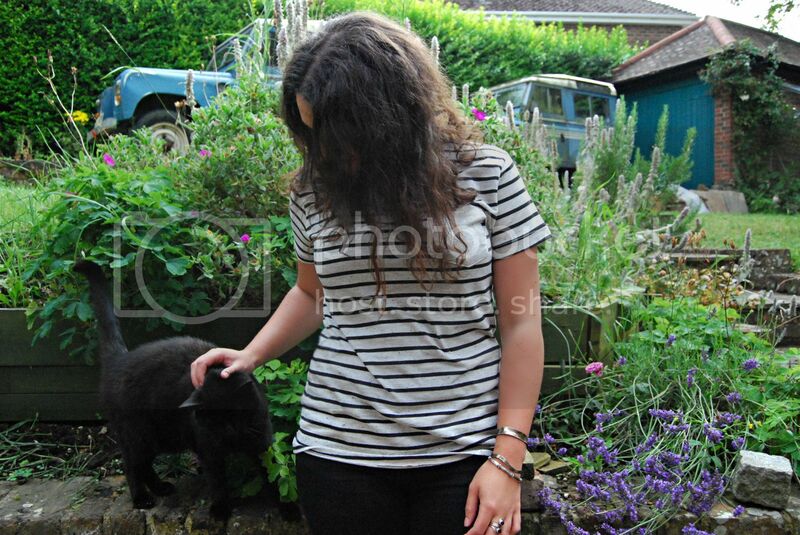 And as always, I got cat-bombed in the majority of my pictures! Just as well they are sweet, huh?